Little, Brown and Company, 9780316041218, 304pp. A long time front-of-house man with no professional cooking experience, Michael Psilakis took control of the kitchen when, as owner of his Long Island restaurant, Ecco, his chef simply failed to show up for work one night. Since then, his star as a chef and entrepreneur has risen considerably. He now owns three restaurants in Manhattan--Anthos, a showcase for his modern take on fine Greek dining; Kefi, a cozier spot that serves the more classic home cooking he grew up on; and, Mia Dona, a new Italian restaurant with a Greek bent. Psilakis lives in New York. Barbara Kafka is the author of Vegetable Love, Roasting: A Simple Art, Party Food, Soup: A Way of Life, and the New York Times bestseller Microwave Gourmet. Vegetable Love was winner of the 2006 IACP award for Best Single Subject Cookbook. She was a regular contributor to the New York Times and has written extensively for food magazines in the United States, Great Britain, and Australia, and was recently honored with the James Beard Foundation lifetime achievement award. She lives in New York and Vermont. 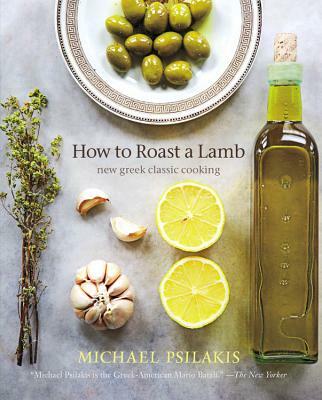 "Michael Psilakis elevates Greek cuisine to Olympian heights." "The cooking [at Anthos] establishes Michael Psilakis as the Mario Batali of nouvelle Aegean cuisine."